Although widely accepted as ethically essential, obtaining meaningful informed consent with good consistency has proven difficult. The report by Tait and colleagues in this issue of the Archives illustrates some of the challenges and provides glimpses of a promising approach to the task of conveying understandable information to patients about cardiac catheterization. 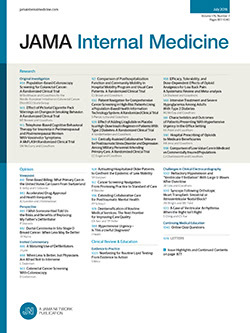 The authors describe a carefully constructed study of a computer-based interactive educational program for patients presented shortly before a physician asks for informed consent for cardiac catheterization. Referencing an early edition of a classic book on biomedical ethics by Beauchamp and Childress,1 Tait et al note 3 key elements of informed consent: threshold, information, and consent. They conduct their study to address the information element, specifically whether a particular computer program can convey information to patients more effectively than the standard informed consent procedure at their hospital.